其後，羅馬人又把他們慶祝豐收的節日與凱爾特族的節日結合起來。羅馬天主教把11月1日定為萬聖節，轉為紀念天主教諸聖人。說先前有鬼節，後有萬聖節（All Hallows Day, 或 All Saints’ Day）”Hallow” 即「聖徒」的意思。“Halloween”即 “The Eve of All Saints’ Day” . My family and I do not celebrate Halloween either (we live in the US). 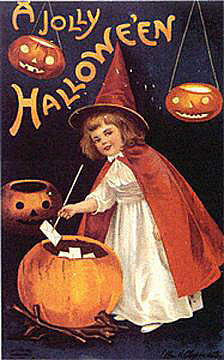 We also teach our kids about the origin of Halloween and that it is not something a Christian should do. this is an excellent article, thanks for sharing. excellent material for a lot of parents to share with their kids. to be honest, even a lot of adults have not idea what the halloween is all about. as christian, i have learned not to celebrate this festival even since, and sure share this knowledge with my husband and teach our daughter since she start to ask me what is halloween. unfortunately my sister in law she is not believer, even she is a catholic like most of the european, they look at halloween is a tradition or a festival like carnival when partying with funny clothes or custom. and overlooked the meaning of it. follow it blindly to the trends. she even bought my daughter a custom in this February already, a cat custom for carnival and a spider web dress for halloween. so i have explained to my daughter, we are not celebrating halloween and she told me that she believes in God and God doesn't like devil things. this is all about commercial. that why it is so important to teach ourself and our kids not to follow the current, the trend blindly . Is all about "successful" marketing from Ocean Park, didn't we almost forget this date in early 2000? And now Disneyland either. So, we become focus in this hot event. "Being a Christian is like being a pumpkin. God lifts you up, takes you in, and washes all the dirt off of you. He opens you up, touches you deep inside and scoops out all the yucky stuff-- including the seeds of doubt, hate, greed, etc. Then He carves you a new smiling face and puts His light inside you to shine for the world to see." BTW, thank you for your recipe postings. 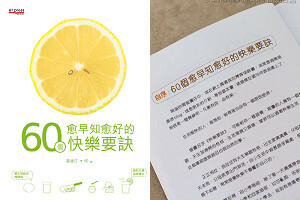 It was from your “蓮藕炆腩排” and “豬腳薑醋【奶奶的口傳食譜】” online recipes that I found your blog.